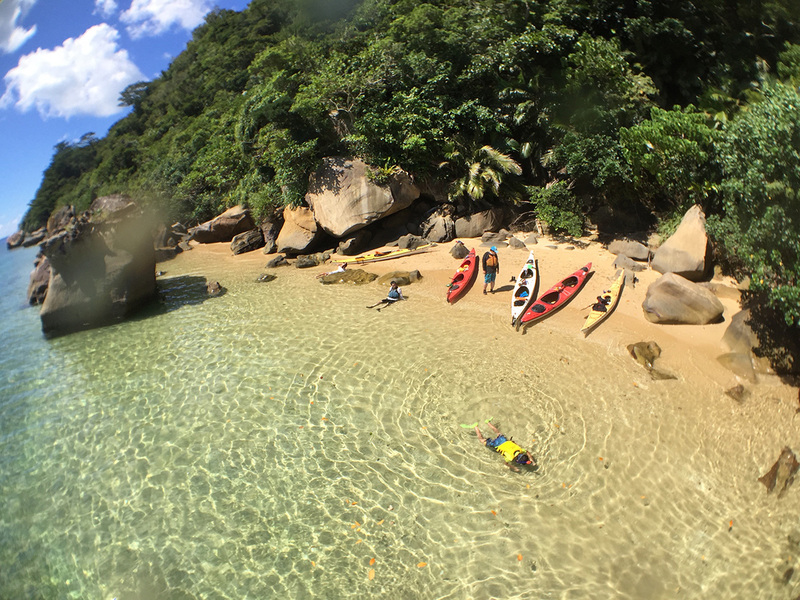 Iriomote Osanpo Kibun offers kayaking, trekking, snorkeling, caving, and canyoning, for both beginners and advanced adventurers. 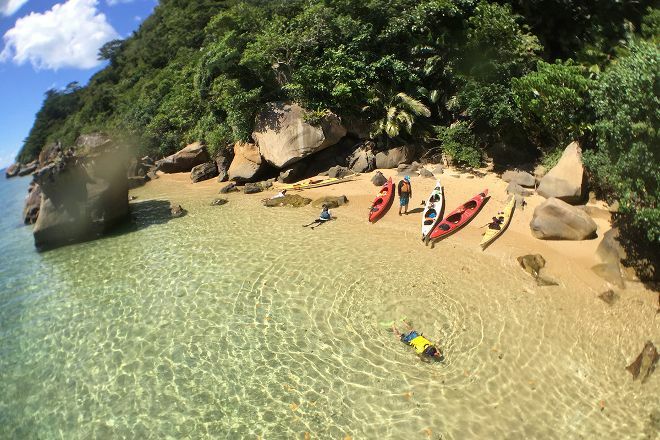 While enjoying these activities on Iriomote Island, you'll have a chance to enjoy subtropical jungles, mangroves, and the green ocean waters. The operator caters to families, offers discounts for groups, and provides special rates for kids. Look for details about each available option on the website, where you can also fill out a form to ask questions and/or request reservations. Plan to visit Iriomote Osanpo Kibun during your Iriomote-jima vacation using our convenient Iriomote-jima online day trip planner . 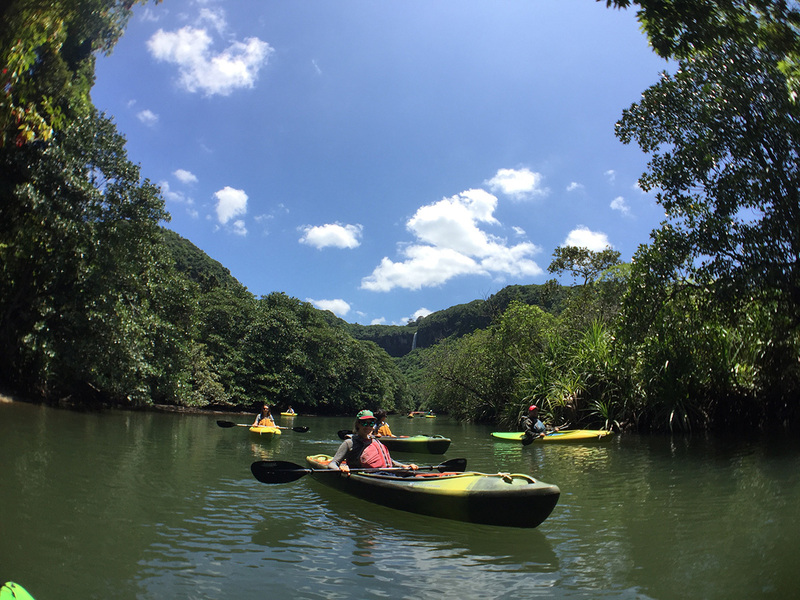 It was a day trip to the Pinaisara waterfall (the largest of the Okinawa archipelago)-at the beginning Spłynęliśmy kayak from the starting point to the jungle, then we climbed through the jungle to the bottom of the waterfall, where had Lancz. 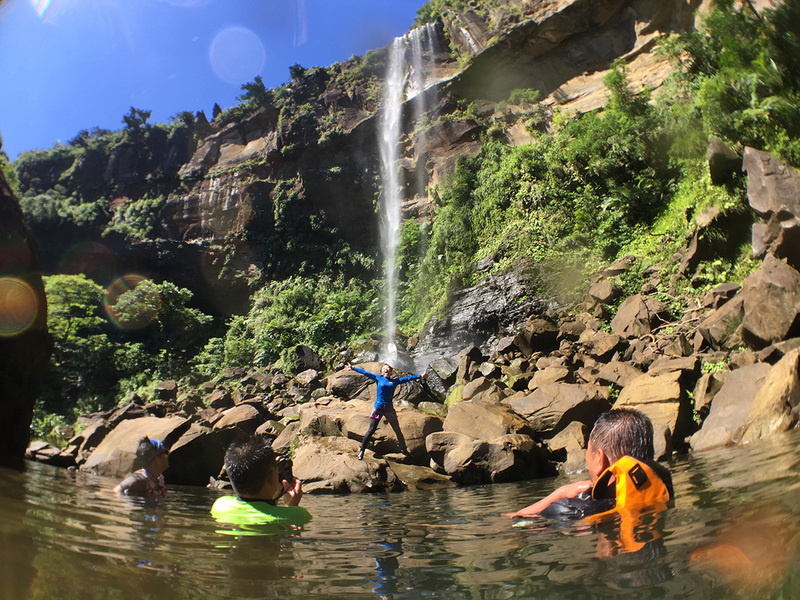 Later climbing to the top of the waterfall, from where you enjoy breathtaking views of the sea, neighboring islands and jungle around, at the end return to the starting place (descent and transit kayaks). Mariko (our guide) has curiously told us about the nature surrounding us and is great at communicating in English, so we could learn more about the culture of Japan and learn some useful phrases in Japanese:))) strongly I recommend to anyone who will stay on the island of Iriomote! Every day, we help thousands of travelers plan great vacations. Here are some tips on how to use your Listing Page to attract more travelers to your business - Iriomote Osanpo Kibun. Promote your permanent link - https://www.inspirock.com/japan/iriomote-jima/iriomote-osanpo-kibun-a3275152377 - on your website, your blog, and social media. When a traveler builds a plan from this page, the itinerary automatically includes Iriomote Osanpo Kibun. This is a great way for travelers looking for a great vacation in your city or country to also experience Iriomote Osanpo Kibun. Promoting your link also lets your audience know that you are featured on a rapidly growing travel site. In addition, the more this page is used, the more we will promote Iriomote Osanpo Kibun to other Inspirock users. For best results, use the customized Trip Planning Widget for Iriomote Osanpo Kibun on your website. It has all the advantages mentioned above, plus users to your site can conveniently access it directly on your site. Visitors to your site will appreciate you offering them help with planning their vacation. Setting this up takes just a few minutes - Click here for instructions.